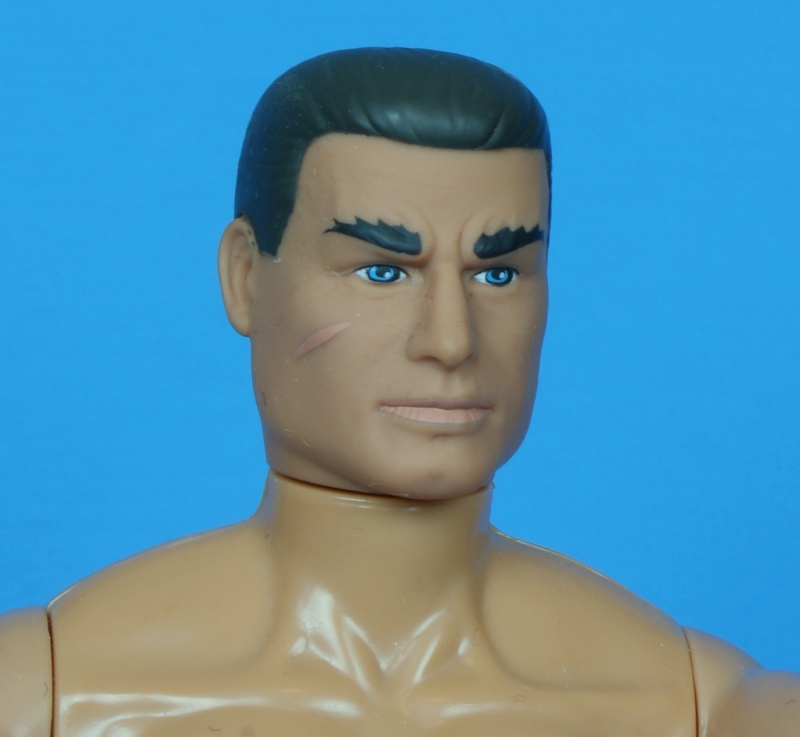 Action Man in the 90s became a catch-all character, working in both the spy arena as well as sports themes. I suppose that shouldn’t be too surprising, as the UK’s cousin to GI Joe also delved into sports with a footballer and cricketer. In the 90s, sports were all about extremes, and this figure showcases the decade’s focus on out-there sporting events. It’s not good enough to be a boxer; we needed a kick boxer. 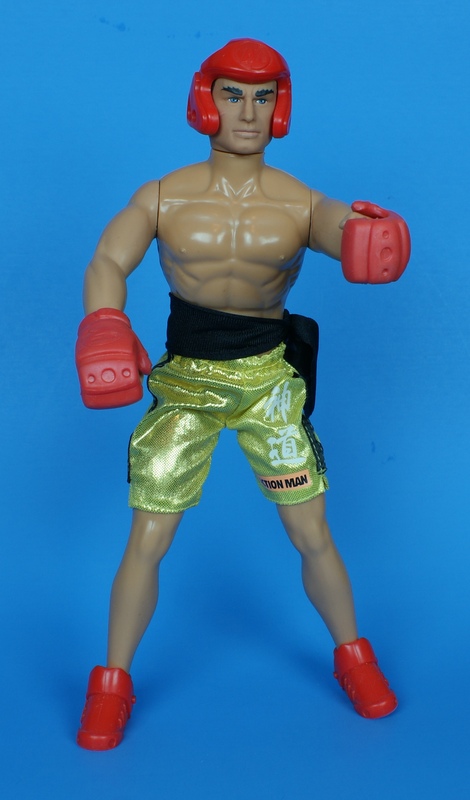 This figure is less articulated than the standard upgraded Hall of Fame body seen elsewhere in the line. Action Man has simple elbow joints, and can’t move his arms out to the sides. It’s sort of inexplicable, unless the point is to maintain the look of the sculpt, since he’s not wearing a shirt. Then again, this is one of the budget packages, and is very light on both clothing an accessories. 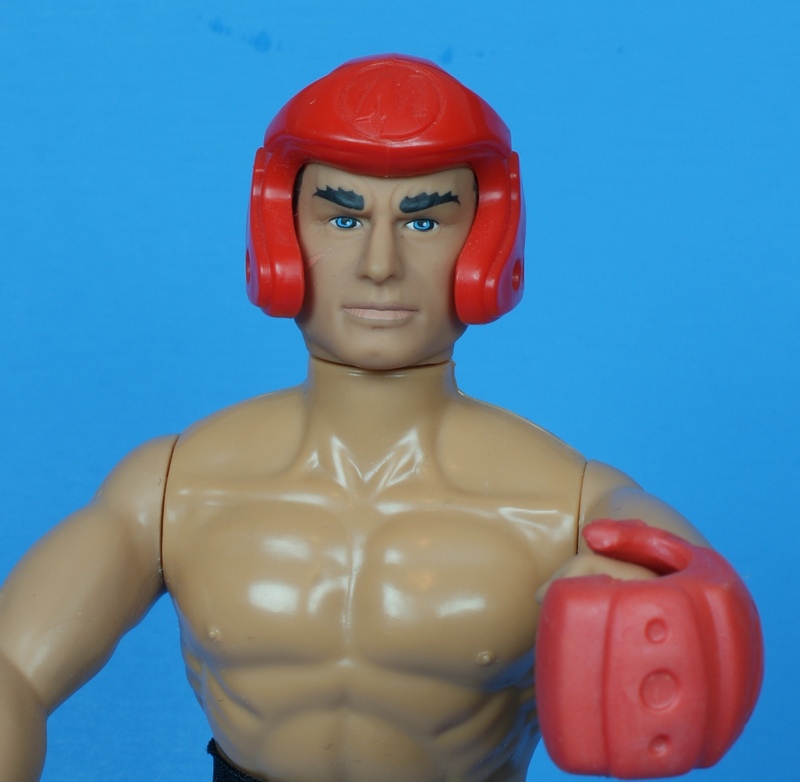 The gloves, boots and headgear are unique, and could make for a nice set of training gear for Hall of Fame Joes, or even work as part of a custom 12 inch Big Boa. There’s no flocked hair this time out, although Action Man retains the caterpillar-like eyebrows common to the time. Finally, nothing says extreme sports more than gold Lamé fabric. And a sash. I suppose I should have saved him for a future Nice Pants Week. Is action man wearing lipstick?! When my sister got hold of my brothers Action men, they all wound up wearing lipstick. His head gear reminds me of Armadillo or Downtown. He’s an action, man. He doesn’t sit around…… Lol.